Rehab Dollars & Sense Blog Rehab A Chicago Bungalow ! 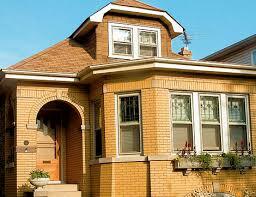 Being a Chicago resident I am very familiar with the traditional brick Chicago bungalow style home. My grandparents had one I spent a lot of time in while growing up. As a family we had many happy times there and made great memories. There was something about the basic, functional design that lent itself to living comfortably. There was only one bathroom of course, which today many people would find unacceptable, but back then it worked somehow. 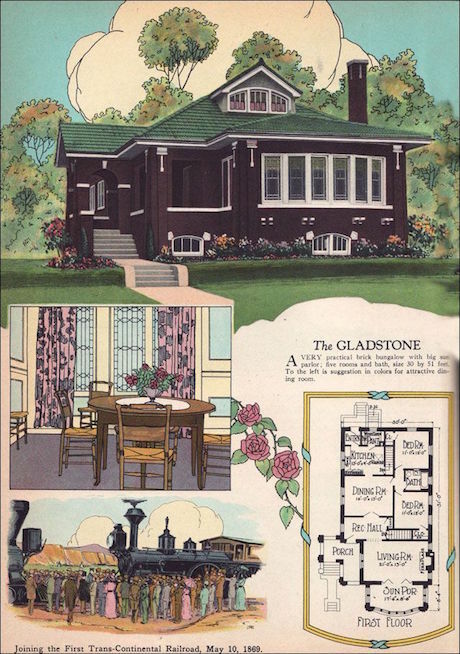 Some years ago the City of Chicago started the Historic Bungalow Initiative to be sure these classic homes would be preserved as much as possible. There are thought to be some 40,000 of these still standing in the city and more in nearby suburbs like Berwyn, Oak Park, Niles, Cicero, Oak Lawn, Evergreen Park and many more. Here is the link to the Chicago website describing what the city has done and offers of assistance available to bungalow owners: http://www.cityofchicago.org/city/en/depts/dcd/supp_info/historic_bungalowinitiative.html . The suburb of Berwyn has a similar bungalow initiative described here: http://www.cityofhomes.org/overview/ . As a mortgage banker I have had people call me asking how to secure funds to expand or rehab their bungalows. Often when someone asks me a question I feel that question may be one others have and it should be the subject of a Blog post here. 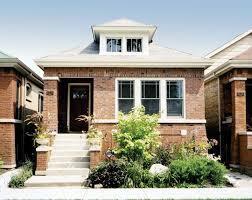 I’m excited to offer my experience on how to finance the rehab and/or purchase of a historic Chicago bungalow. Even if you will be a first time buyer I would urge you to consider a historic Chicago bungalow purchase with a rehab loan. Sometimes the past holds the key to the future. If you already own a bungalow you can use either the FHA 203K rehab loan or the Fannie Mae HomeStyle rehab loan to fund your bungalow updates. The way to do it is not what you might expect though. Either of these loans are used to remove & replace any existing mortgage(s). It might be helpful to explain what these two loans are NOT before explaining what they are. These are not extra loans added on your home in addition to your existing mortgage. These are not second or third mortgages. These are not Home Equity Lines of Credit. These are not unsecured loans. These are not Home Improvement loans. FHA 203K and HomeStyle are used to pay off (refinance) the current mortgage(s), whatever amount that might be based on what size loan can be approved to include the extra funds to pay for the rehab costs. All in one loan, one monthly payment, on a 30 year term. You end with one new loan – any old loan(s) are paid off. What remains is the FHA 203K or HomeStyle 30 year loan with rehab funds added into it. The rehab funds are given out as work progresses to pay the Contractor. The big difference with these two loans over any others is they take into account what the home will be worth after the planned rehab is completed. We call that “after improved value”. That is a huge difference between any other second loan or unsecured loan. That is what makes these loans so attractive. You get credit up front, prior to any work being done, for what value the house will have when it is done in the near future. That value projection is made by an Appraiser who is shown the plans and detailed costs of the rehab in order to value the house at its future, “after improved” final value. These loans are then approved based on that value rather than what the home is worth today. This is why other loans often can’t be done because all of them are based on just what the house is worth now, in its unimproved state. Often there is no equity to borrow from to have cash to do a rehab, meaning a second loan cannot be added because the home is worth too little in its current state. These loans can also be used at purchase time from the beginning in the same way- one loan for purchase, minus required down payment with extra funds added in to pay for the rehab. Working like this can allow a buyer to purchase a Chicago bungalow with as little as a 3.50 % down payment with FHA 203K and add in extra dollars to fund the desired rehab. All of this right at the beginning when the home is first purchased. No saving little by little or doing work in small steps over the years. No need to go into debt with credit cards or high rate short term loans from the big box home improvement stores. Realize the potential equity increase and enjoyment of the rehabbed home from the start. That’s the process that takes place for any bungalow owner who obtains a mortgage from the time of purchase. If the owner had no mortgage at all the FHA 203K or HomeStyle loan can still be used to fund the rehab costs. This same process can work for most any home owner needing funds to rehab their home. 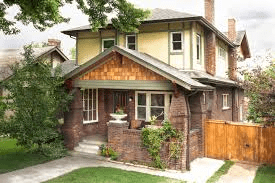 I wanted to highlight historic Chicago Bungalows in this post because there are so many to preserve. I’m an advocate for preserving these beautiful and functional houses wherever they may be today. I have seen owners add bedrooms and baths in the attic space; expand the house out in the back to add a family room; knock down walls between the kitchen and dining room to create a contemporary open floor plan and much more. 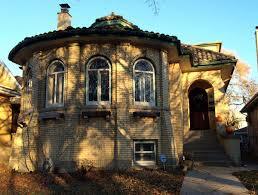 Below are some photos of Chicago bungalows as examples. I’m happy to answer your questions and welcome comments on my Blog.